Buhari sacks amnesty coordinator – Royal Times of Nigeria. 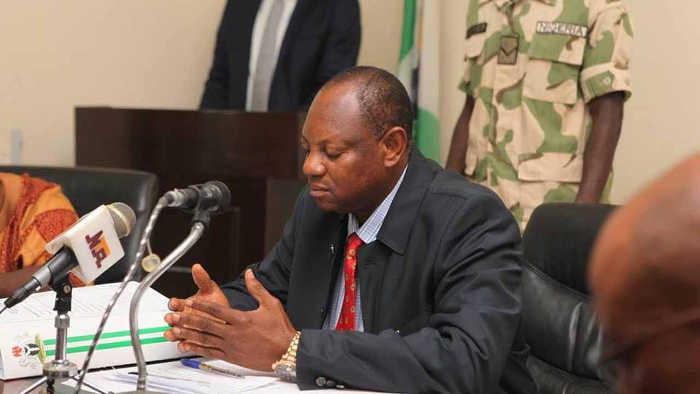 President Muhammadu Buhari on Tuesday sacked his Special Adviser on Niger Delta and Coordinator of the Presidential Amnesty Programme, Brig.-Gen. Paul Boroh (retd.). This was confirmed in a statement by his Special Adviser on Media and Publicity, Femi Adesina. Adesina said Prof. Charles Dokubo has been named as his replacement. Buhari also directed the National Security Adviser, Babagana Monguno, to carry out a full investigation into the activities of the Amnesty Programme from 2015 to date.